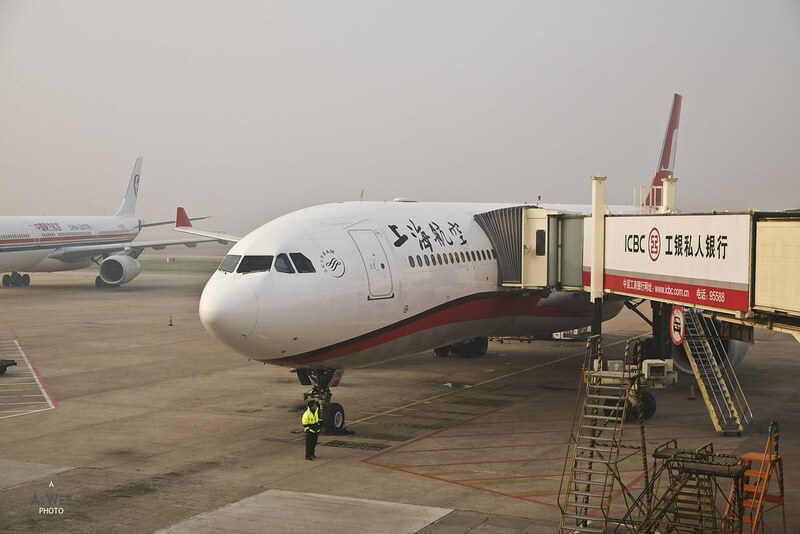 It was time once again to board the Airbus A330 operated by Shanghai Airlines. While I did technically board one of their A330’s, the flight was tagged with China Eastern as the operating carrier. So I really wanted to know if there will be any difference with Shanghai Airlines as the operating carrier even though it is a subsidiary of China Eastern. Boarding started with premium passengers and elite Sky Team members and the process was not chaotic at all, so that was a good start. Once in the cabin, I was actually quite surprised to see so much of the airplane being allocated for Business class. 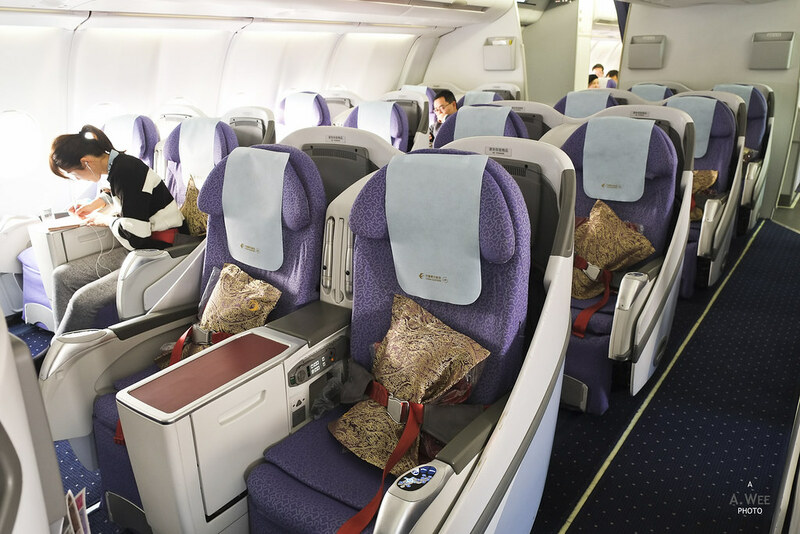 Seats are in a 2-2-2 configuration though they are all angled-flat seats. 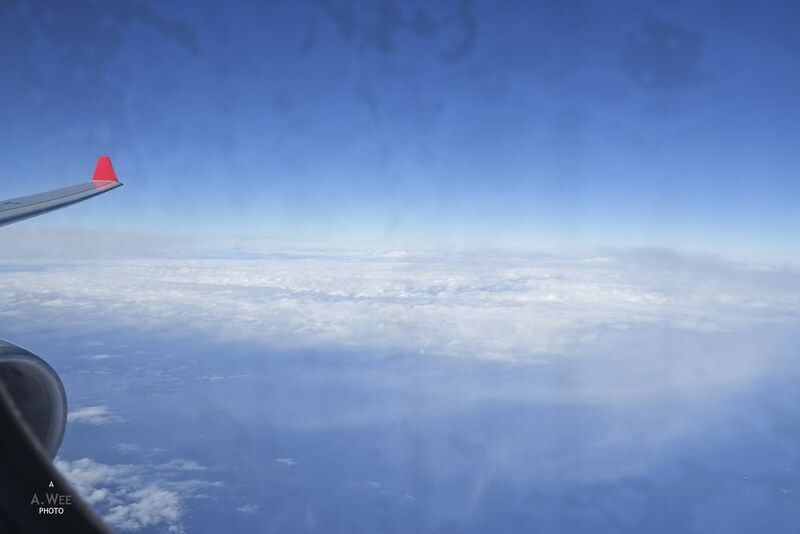 As I got seated on my window seat, the flight attendant serving the lightly occupied cabin came over to offer drinks. There was a choice of juices or water and I got an orange juice. I was also provided with a towel placed on a ceramic plate. 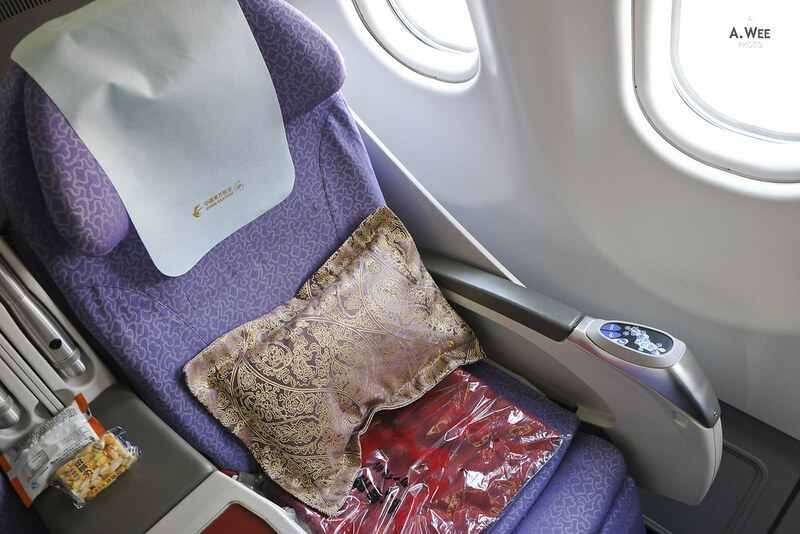 On the seat itself there was a pillow and a blanket. 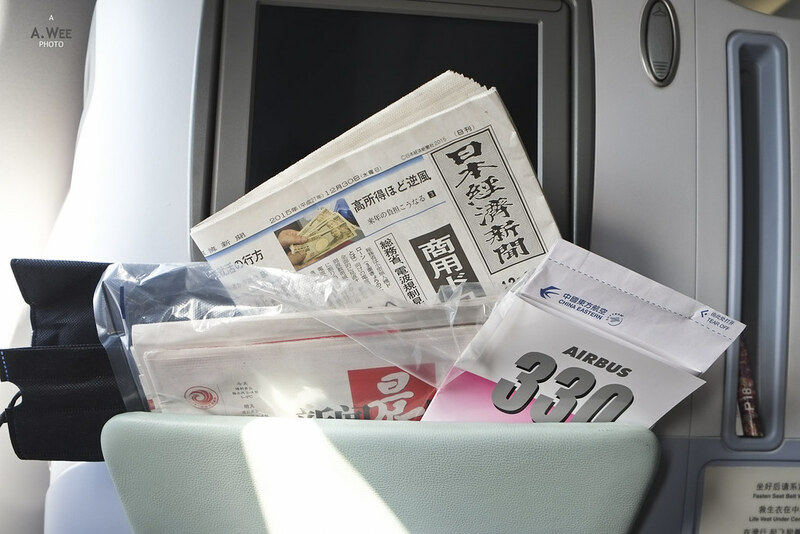 While the seatback pockets are filled with newspapers in Chinese and Japanese along with the same slippers in the re-usable shoe bag. 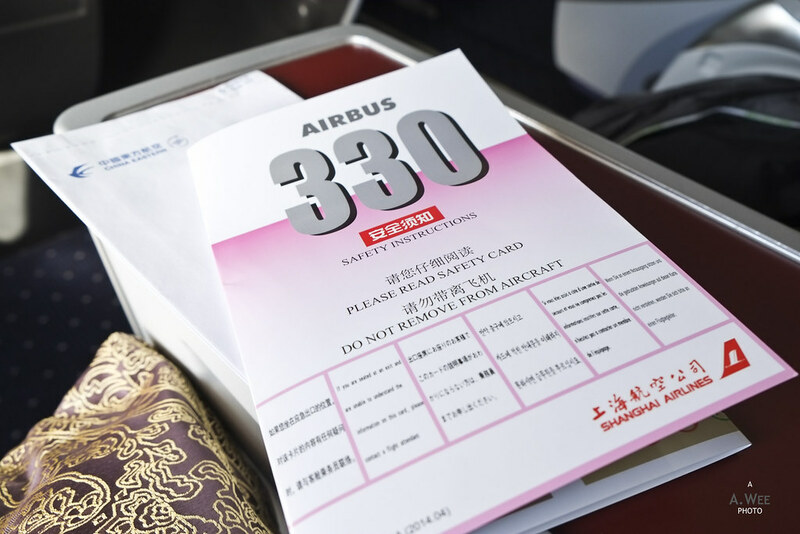 The seatback pockets also contain the CAAC inflight magazine that should be found in all the major state-owned Chinese carriers along with the safety manual. 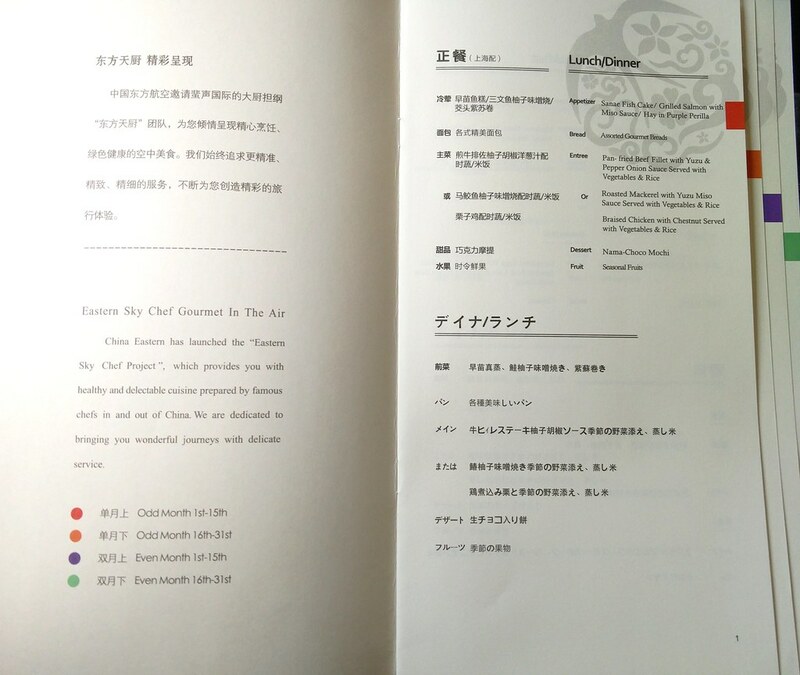 The safety manual is coincidentally the only logo of Shanghai Airlines in the aircraft as the rest of the amenities seems to be branded with China Eastern. There really is an identity crisis here. Orders for the meal were taken individually with the crew even bowing down to take the orders. 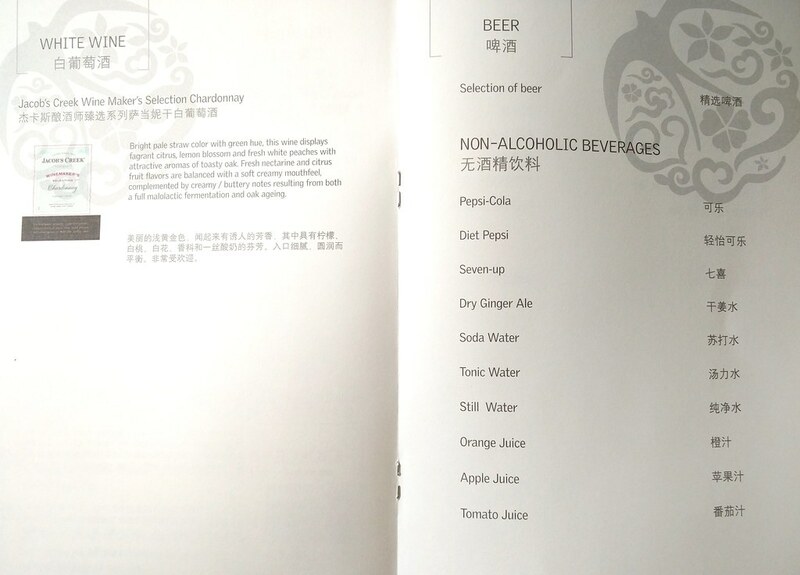 I think this is a common service feature with the Asian airlines. 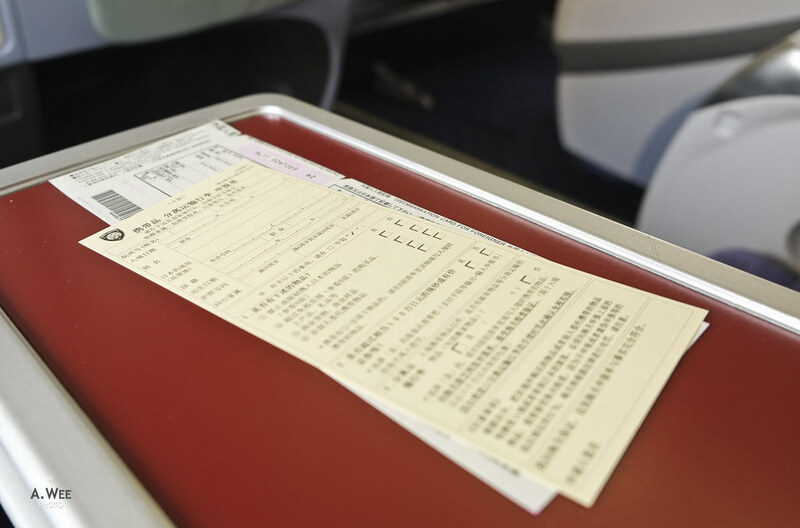 Another crew member came by the cabin to distribute customs and immigration form for entry into Japan while waiting for boarding to complete which again took some time. 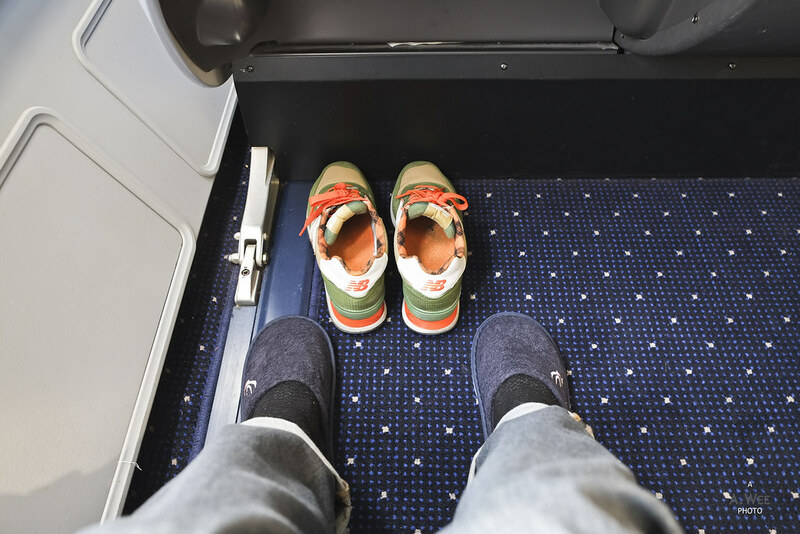 During this time, I changed into the slippers provided and made myself comfortable as I munched on the snacks I brought from the lounge since I did not have breakfast, except for a cup of coffee early in the morning. Boarding was completed shortly afterwards and I have to say I chose a great time to be in Shanghai for work as the weather was clear and nice while I was there and turned smoggy with bad visibility on the day I departed for Tokyo. While there was a short taxi to the runway the bad visibility meant not much good photos would turn out. 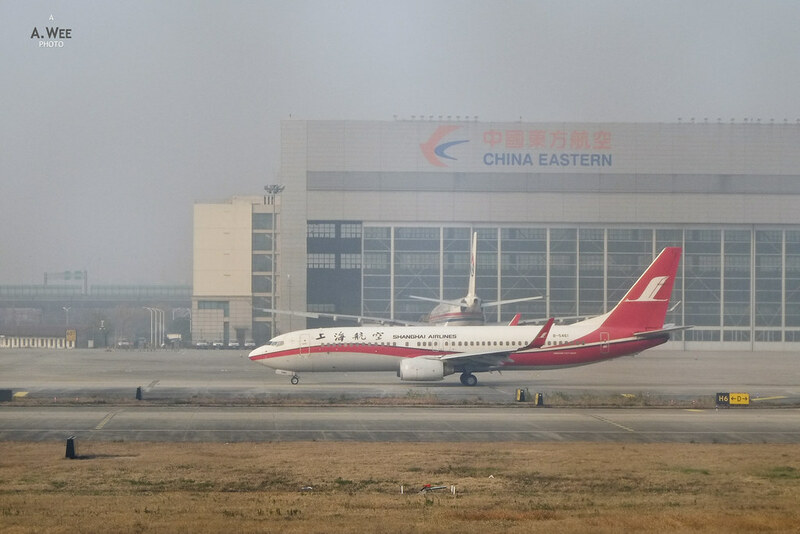 I did capture this shot of Shanghai Airlines 737 though before the plane took off. Due to the smog and dirty plane window, there was not much of a view either of the airport or the city. 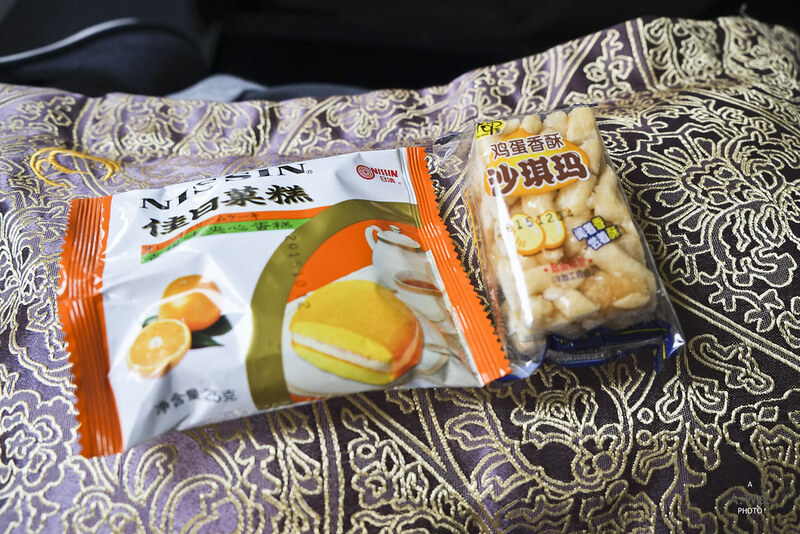 Once we reached cruising altitude, the crew came over to serve packet nuts and the beverage of our choice. 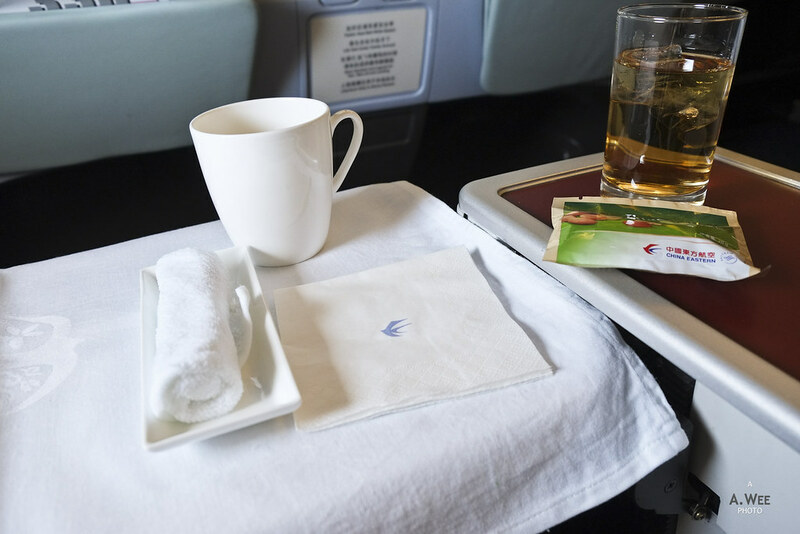 Shortly afterwards, another flight attendant came to set the table for the meal service and asked if I would like any other beverage. 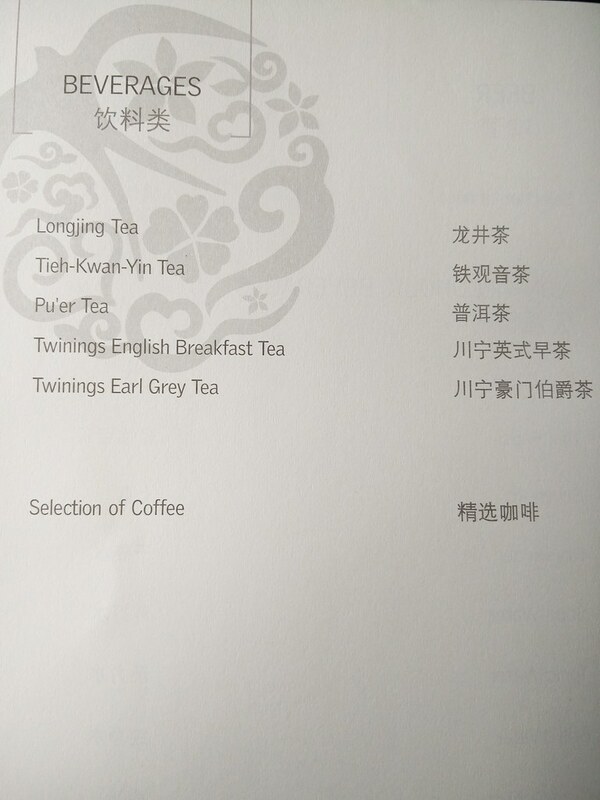 I got a cup of Chinese tea as well. Since I had not finished the inflight movie on my previous flight, I continued the movie on this flight. 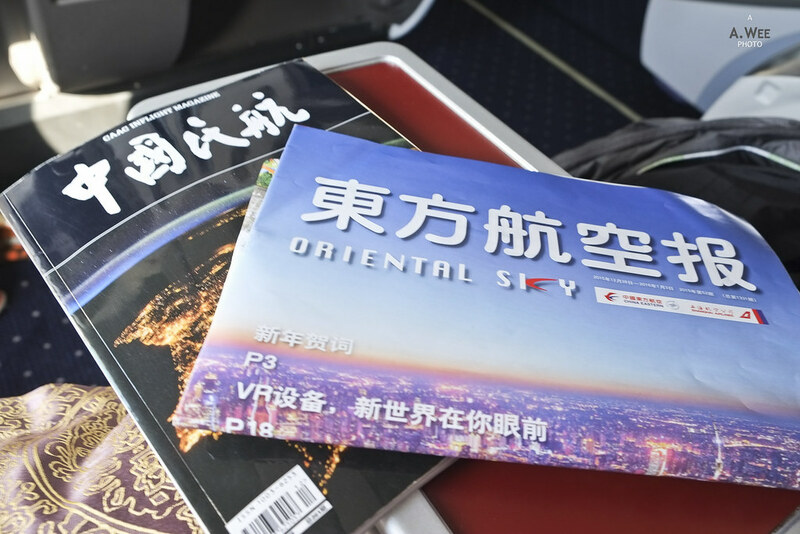 Since the last flight I was on was operated by a Shanghai Airlines’ plane, the entertainment selection and interface was similar. The movie was ‘Back In Time’ or ‘匆匆那年’ in Chinese. 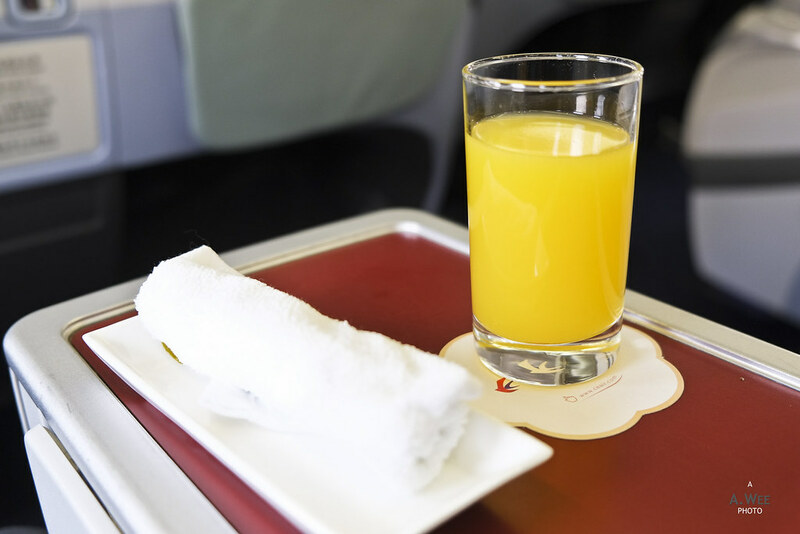 With the tray table set, the breakfast was served by the crew. 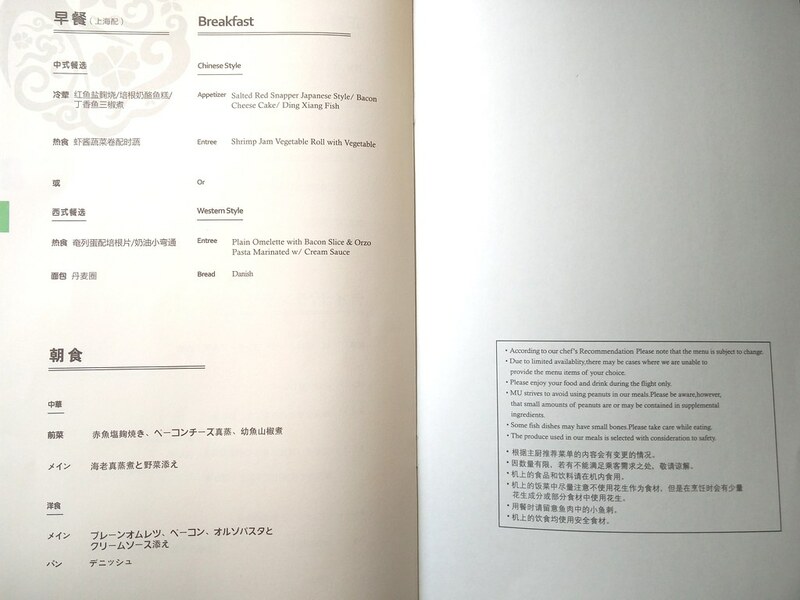 I had picked the Japanese breakfast set and it consists of 2 main plates. The larger plate contains rice and an assortment of vegetables. The smaller plate meanwhile contains 2 slices of fish, some kind of egg roll which was indicated as a bacon cheesecake on the menu and a portion of small fish on a small aluminium foil bowl. It was accompanied with a bowl of miso soup and a packet of soy sauce. The meal did not look presentable but it was alright, and the portion adequate as well. 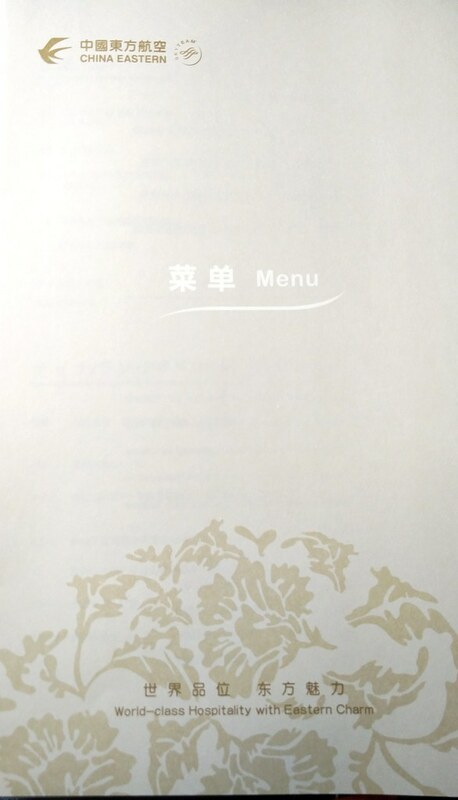 However the dishes were mainly served cold except the soup which is warm. 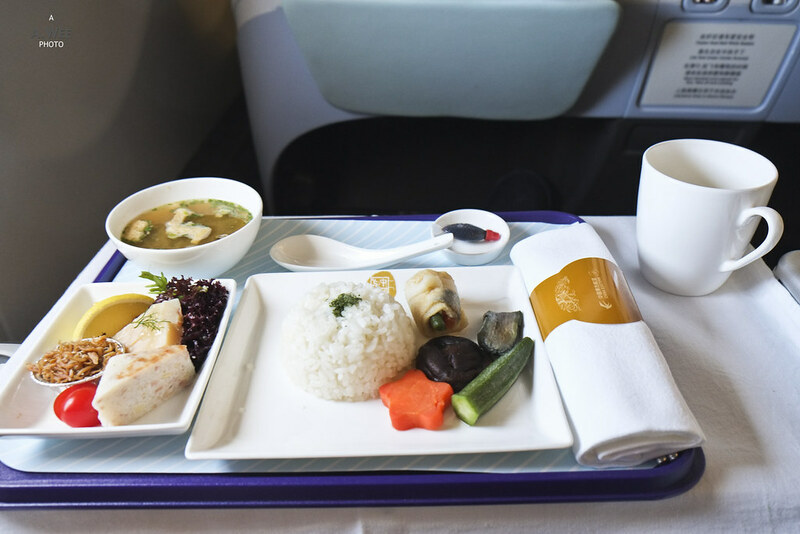 For a 2 hour flight, I did not really expect much more than that though some desserts or fruits would have been nice to end the meal. 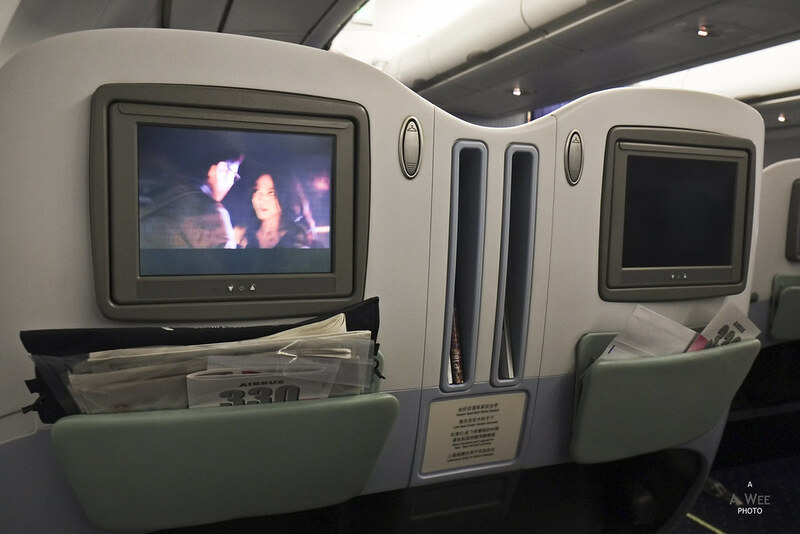 With the short meal service, I reclined my seat to watch some TV shows and relax for the rest of the journey. 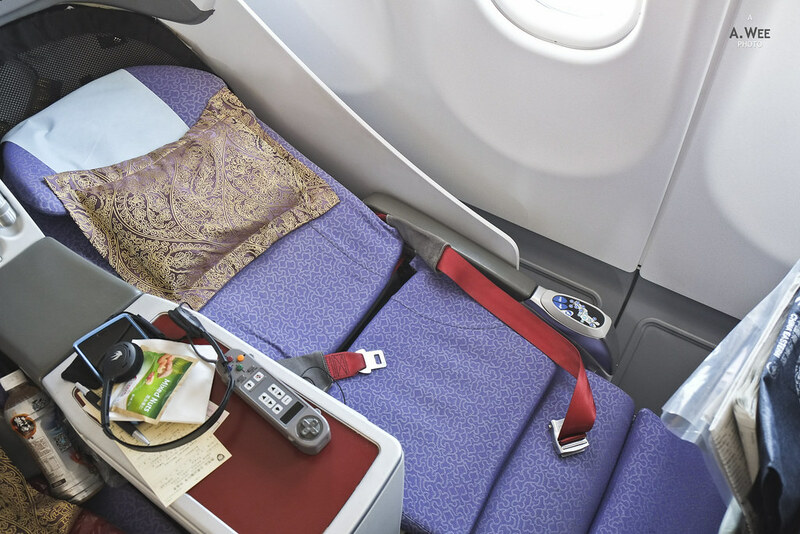 The angled flat seat was perfect for these kind of short haul flights and it was very comfortable even for a short nap. 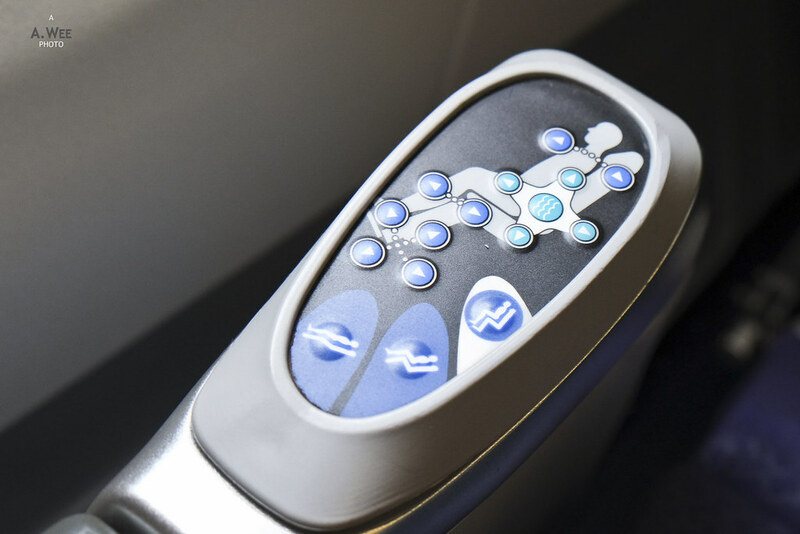 On a reclined mode, I found the seat to be much better than the Recaro seats on Malaysia Airlines A330 Business Class. 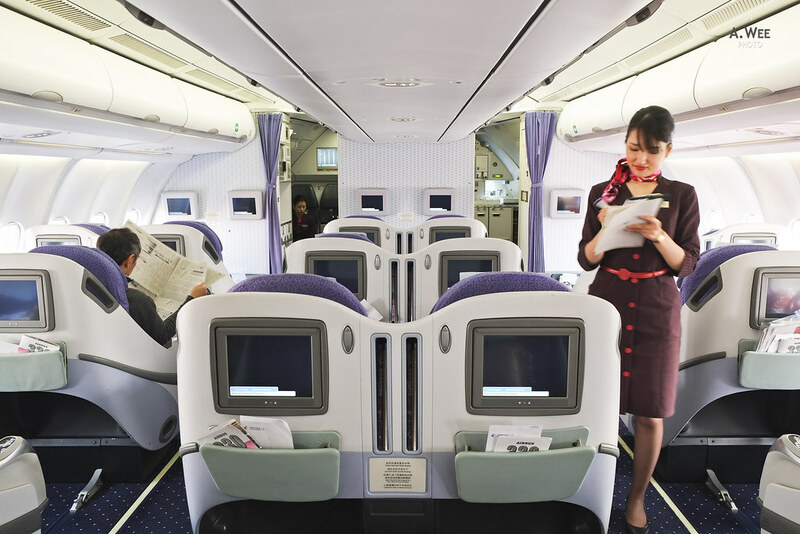 It is probably more similar to Thai Airways Business Class on the 777. 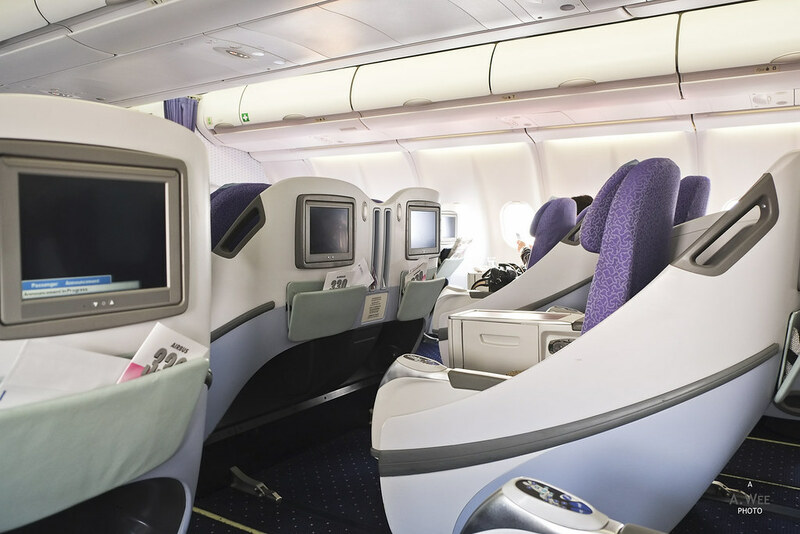 The rest of the flight continued on without any incident and the cabin was really quiet considering how light the load was in Business Class with probably only one-third of the seats being occupied. I do believe the Economy Class cabin is quite full since it is the New Year’s Holiday when I travelled and there were quite a few families travelling together in this flight. 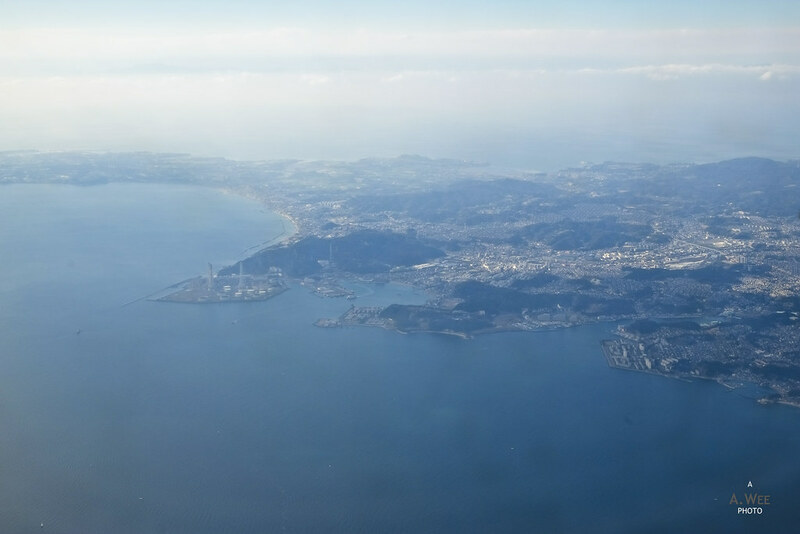 It was a very nice weather in Japan when we made the descent into Tokyo Haneda. 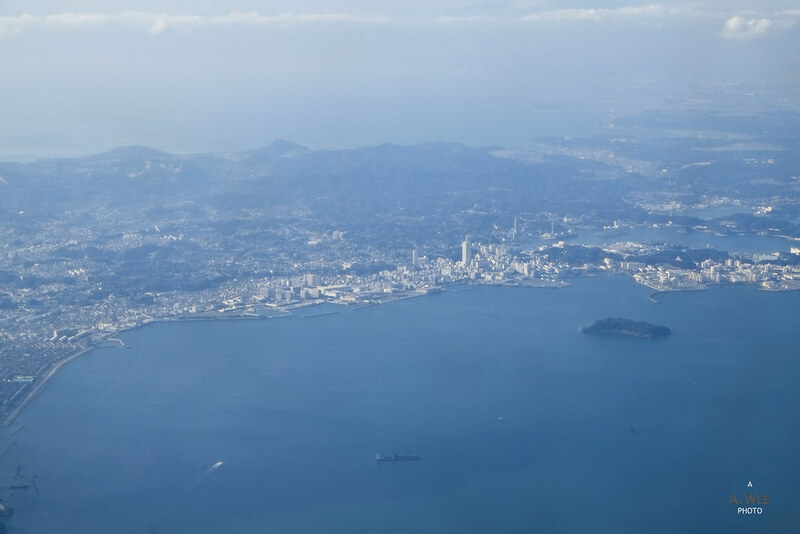 And the treat being in the front cabin is perhaps more for the views as we passed by the town of Yokosuka. 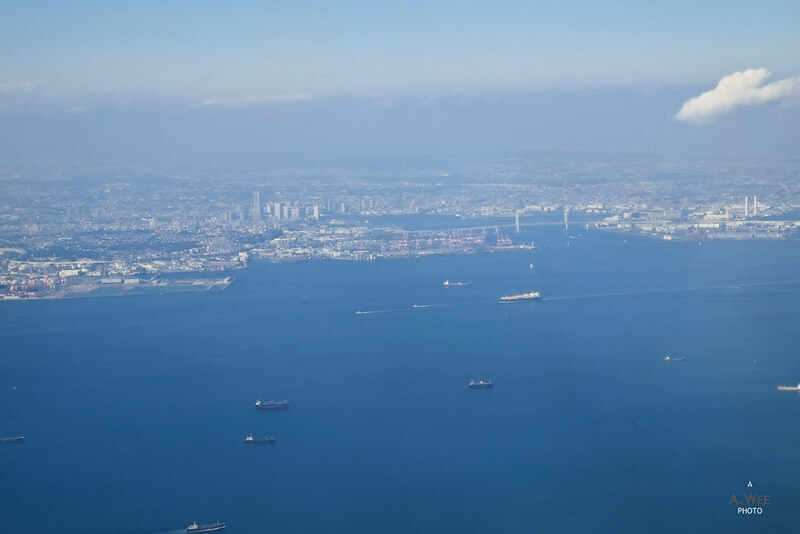 We even passed by Yokohama and was able to spot the bay bridge before landing into Tokyo Haneda since Tokyo’s Haneda Airport is actually in between both Tokyo and Yokohama and a bus ride from the airport to Shinjuku takes the same time to reach Yokohama’s city centre. 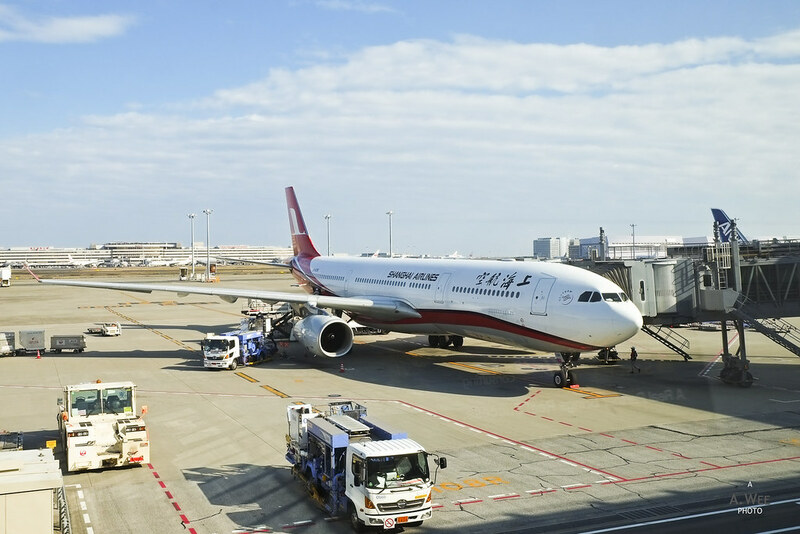 Arriving into Tokyo Haneda is always a joy, since the immigration was shorter than I have experienced from Narita. Furthermore I like the new airport terminal and my luggage was also handled properly being the first few to come off the conveyor belt thanks to the Priority sticker. That allowed me to purchase my bus tickets quickly and even have time to spare to shop for some snacks at the airport departure hall. 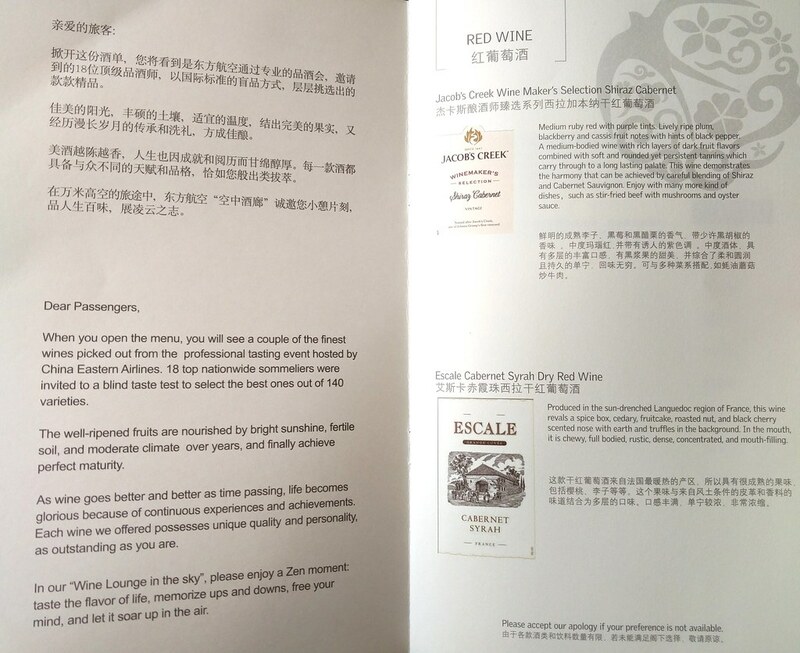 While this flight might seem ordinary, there was nothing wrong with it. I got a nice breakfast even though it was not the best in terms of quality, and there was a nice view during the descent. The quiet cabin made it comfortable to get some rest and allowed me to finish the movie and watch a TV show. Most importantly it got me to where I wanted to be safely and at a convenient time. For that I would say, it got the job done and more.